I love nothing more than when my son asks me to go outside and play. As a kid, I played outside for hours at a time, not coming inside until dinner was ready. 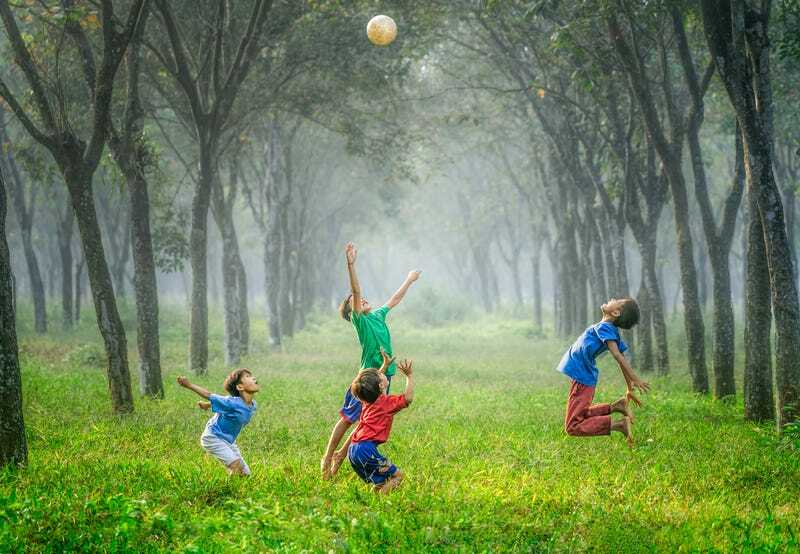 Whether it’s riding bikes, playing in the yard, or kicking a ball around, there are countless ways to help your children stay active and entertained outdoors. Safety is another important element when discussing outdoor play for children. Here are just a few ways you can help ensure your children stay safe and unharmed while playing outside. Regardless of the size of your yard, it’s important to set specific boundaries with your child. Designate areas that are safe to play in and those that are off limits. You can use visual landmarks like fences, large rocks, or other property markers to establish safe parameters. If your children are playing outside unsupervised then the street should always be off limits. Regardless of how safe you think your block is, encourage your children not to play where traffic is actively passing by. If a ball or toy accidentally enters the roadway, they should come inside and ask an adult for help. This is a great point to make following number one on this list. Even if someone friendly walks by, your children should not ask them for help or engage them in conversation. Your children can say hello to neighbors that you know and trust, but should never speak to random strangers passing by. Go over some techniques your children can use if a stranger approaches. Stranger Danger is a great concept, but there are additional elements to consider. If your child gets bored of playing outside or decides they want to go for a walk or play somewhere else, instruct them to come inside and find you first. Your child should never wander off by themselves, or even in a group, without asking permission. Even if your child is older and can independently take a walk or bike ride around the block, they shouldn’t leave without making you aware. Though most residential areas have slow speed limits clearly posted, drivers don’t always adhere. This means cars can come down your road unexpectedly, at an accelerated rate, and without paying close attention to children playing nearby. Even if your children aren’t playing in the street (which they shouldn’t be), they should still be aware of their surroundings. Cars in your driveway can pose their own threat. Even if they are parked cars, children should still be observant of them and whether or not they’re moving. Sadly, too many times children are injured or even killed by reversing vehicles right outside their own homes. Check out this page to learn more about driveway alarms and safety. Whether the sun is shining or snow is falling, it’s important your children wear appropriate protection for the elements. If it’s summertime or even spring, your child should wear sunscreen, a hat and/or sunglasses. This will protect them from strong UV rays. Bug spray is important to protect against the many types of insects that are out during various seasons. If it’s cold outside, ensure that your child protects all exposed skin. This can be done using hats, scarves, gloves, and even face masks. Even though your child may be sweating while exerting energy, their bare skin is still exposed to windburn, frostbite, and unforgiving temperatures. Rain boots will help keep your child’s feet dry and warm. A light coat or sweatshirt is sufficient during the cooler autumn months. When your child is playing safely, your mind can rest at ease. By establishing rules your children are familiar with, it ensures they’re safe 365 days a year. Other tips include staying hydrated and be mindful of changes in the weather.